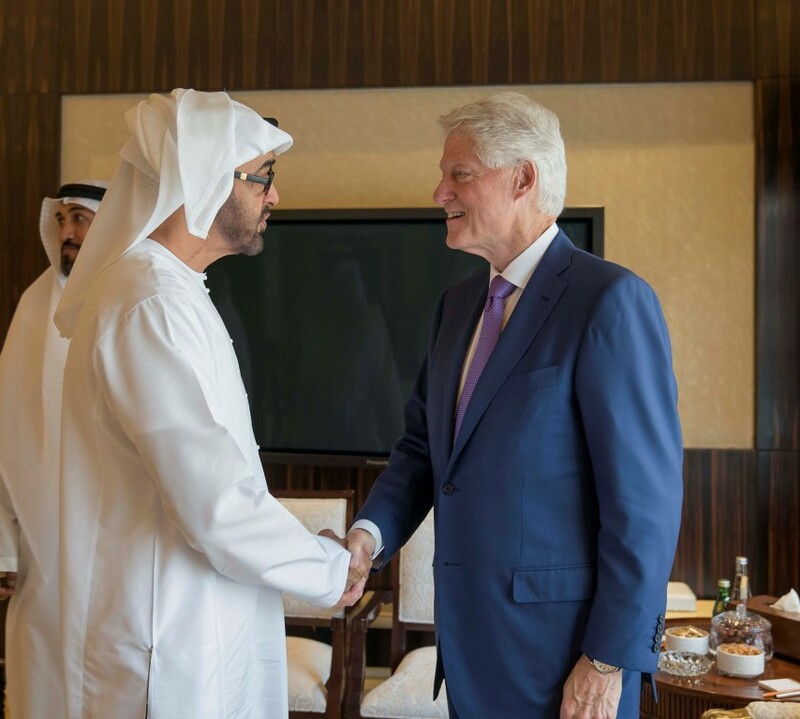 His Highness Sheikh Mohamed bin Zayed Al Nahyan, Crown Prince of Abu Dhabi and Deputy Supreme Commander of the UAE Armed Forces, today received Former US President Bill Clinton, currently visiting the country. The strong relations between the UAE and US were the focus of the meeting which occasioned an exchange of cordial talk and a review of an array of issues of mutual concern. Attending the meeting was Yousef Al Otaiba, the UAE Ambassador to the United States of America, and Mohamed Mubarak Al Mazrouei, the Undersecretary of the Crown Prince Court of Abu Dhabi.